Helen Sheperd, from Broadway United Methodist Church, in Kansas City, was the first United Methodist Missionary to Mongolia.Â During a speaking tour across Missouri, MissionCast caught up with her at Fairview United Methodist Church, in Columbia where she shared the â€œMongolia Storyâ€. 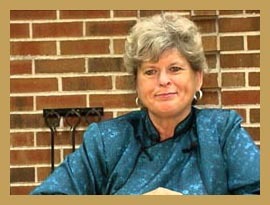 Prior to her assignment to Mongolia, Helen served in Seoul, Korea, from 1992-2001 as Director of Severance Hospice (home care program), a project of Yonsei University, College of Nursing. Her transfer was requested to help establish the United Methodist mission presence in Mongolia, with major focus on starting the hospice movement.Â Helen teaches youth and children in Sunday School in her local UM Church and supports the work of the UM church in all the ways that our missionaries get involved. â€Serving in Mongolia continues to be an exciting, challenging assignment fostering relationships and allowing for relationships and evangelism to be possible through providing health care,â€ Helen shares. She gives thanks to God for providing these experiences. Support for Helen may be sent through the Conference Office using the General Advance Special #11810Z. Also check out the list of MissionCasts at the right indexed by category. For automatic downloads to your computer or mobile device like an iPod use the feed below.